Our Cabernet vacation rental highlighted on the cover of The Paris Vacation Apartment Guide! 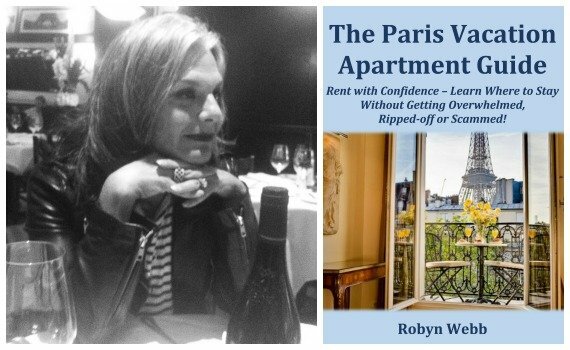 We’re delighted to announce the publication of Robyn Webb’s new book The Paris Vacation Apartment Guide: Rent with Confidence – Learn Where to Stay Without Getting Overwhelmed, Ripped-off or Scammed! 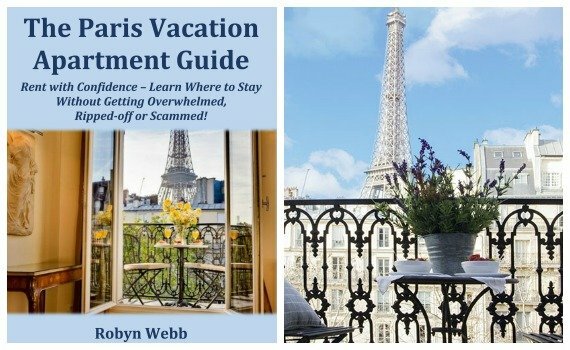 This is a labor of love for Robyn Webb, a passionate traveler and Paris lover as well as an award-winning cookbook author, nutritionist, culinary instructor and motivational speaker. We’re honored that Paris Perfect has been selected as one of the handful of Paris rental agencies included in The Paris Vacation Apartment Guide as well as having our beautiful Cabernet vacation rental featured on the cover! Over the years we have welcomed so many wonderful guests to our Paris vacation apartment rentals, and along the way we’ve seen so many of them return to stay with us time and time again. They go from being Paris vacation rental novices to experts who feel at home in their adopted Parisian neighborhood – knowing which boulangerie makes the best baguettes, hitting the open-air markets like a local, watching the Eiffel Tower sparkling at night while curled up on the sofa and savoring all the charms of everyday life that many visitors miss out on while staying in hotels. If you’re planning a trip to Paris and are considering staying in an apartment rental, you’ll enjoy The Paris Vacation Apartment Guide. It’s full of tips that make it especially handy for first vacation rental newbies or seasoned Paris travelers looking to experience a more authentic Paris stay. You’ll find all the information below for connecting with Robyn Webb online and buying the book. And at $2.99 it’s une vrai affaire! The Paris Vacation Apartment Guide now available to buy on Amazon.com! Find Robyn Webb on Facebook and Twitter. 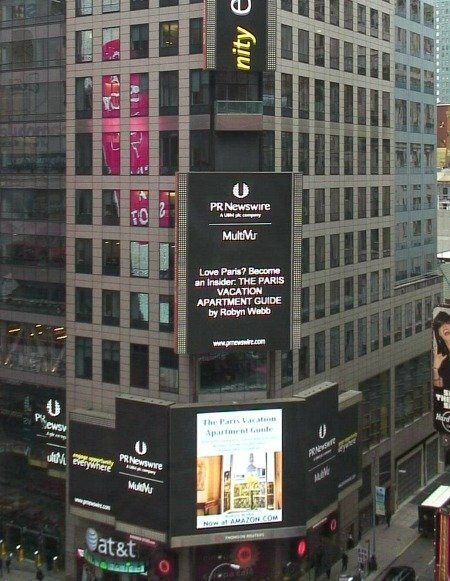 Our Cabernet apartment on of the cover of The Paris Vacation Apartment Guide featured in Times Square! NEXT: Paris Sunshine at the Charming Médoc Apartment ! Posted on Wednesday, October 1st, 2014 at 4:44 pm in Apartment Rentals. You can follow any responses to this entry through the RSS 2.0 feed. You can leave a response, or trackback from your own site.